On March 23, 2010, President Obama signed the Affordable Care Act (ACA) into law and set into place a national effort to help ensure Americans have secure, stable, and affordable health insurance. The ACA is one of the most important pieces of legislation in the fight against HIV/AIDS in our history. Have questions? Need more ideas? 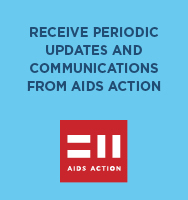 Contact Malinda Ellwood, Center for Health Law and Policy Innovation of Harvard Law School and Treatment Access Expansion Project, mellwood@harvard.law.edu, or John Peller, AIDS Foundation of Chicago, jpeller@aidschicago.org. And of course, visit HIVHealthReform.org.